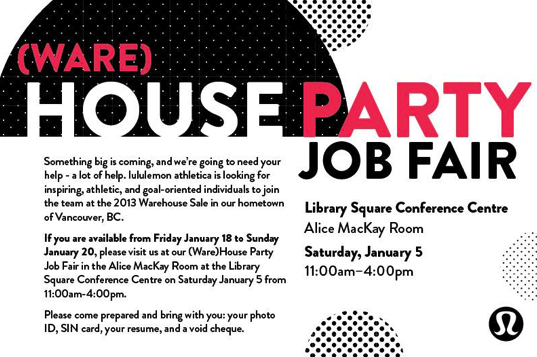 The Lululemon Warehouse Sale 2013 is coming to Vancouver on January 18 to January 20. No word yet on the US location or dates for their warehouse sale but I’m super excited that Vancouver gets to host the Warehouse sale this year. "The Latest: Mint Moment Pump It up Jacket, Root Chakra Pants, Run: Right Round Pants and More"